Nowadays, it’s easy to capture high-quality videos. The advancement in camera technology now means that most of us have access to cameras that can record high definition videos. You can even use your smartphone to record good enough quality videos that they can be played in a movie theatre. Fortunately, editing videos is now far simpler and, more importantly, affordable too. It may seem like a hard task to choose the best video editor, especially since you need to buy them to try them out. 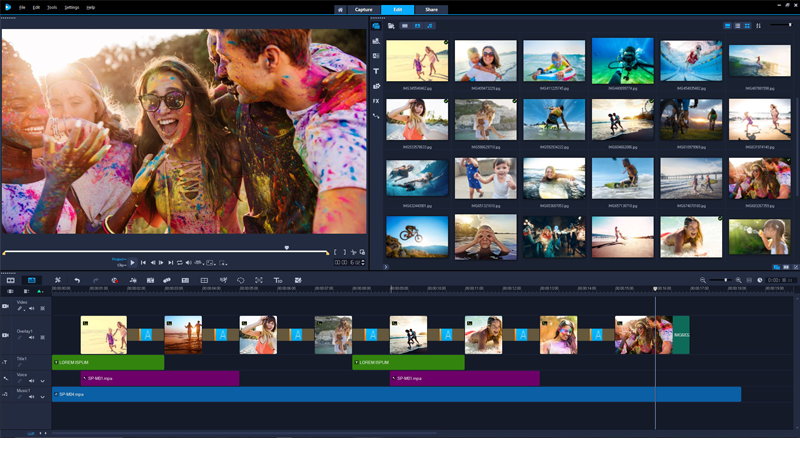 This is why we have put together a list of the best movie editing software in 2019. Though some of these video editing software suites are not cheap, we have included some that will not cost you an arm and a leg either. There are numerous kinds, paid software as well as free software that can be used for editing videos. We will discuss the pros and cons of both the paid video editor software and the free video editor software. With the right kind of editing software, you can edit your video so that you have a great movie I no time. Let us first discuss paid video editor software. We will focus on the best video editing software for Windows PC’s, Mac and Android devices. Most of these options are excellent choices for both the beginners, while some are suitable for professional video editors too. Getting Adobe Premiere Pro CC will give you the power to become a professional video editor. It allows you to edit multiple video and sound tracks together. The software comes with a range of special effects and tools. One really great tool is the video straightening tool that actually helps to remove camera shake. It has a range of automatic functions that include sync multi-angles shots. It has fine-tuning tools that will make your video stand out from other videos. It is an industry standard video editing tool but a little bit pricey compared to other paid software. It has a free trial available. This software is popular with professional video editors. It is not suitable for complete beginners unless they have a little time to learn it. Get Adobe Premiere Pro CC here. 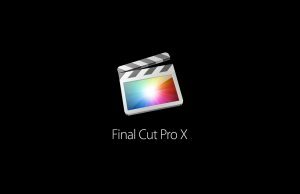 Final Cut Pro X is the Adobe Premiere Pro for Mac users. It is the best video editing software for Mac, and is relatively easy to use. Although it is expensive, it is jam-packed with amazing features that will never leave you regretting that you bought it. If you are using other Apple devices as well as the iMac, you will find it easy to use as it coordinates easily with your Photos and iTunes collections. It has grouping tools, effect options and simple ways to add and edit audio features, as well as many more features we don’t have time to mention. If you own an iMac and are serious about editing, buy Final Cut Pro. 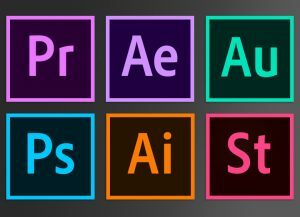 Adobe Premiere Elements 15 (2018) program is an excellent option for both novices and expert editors. It is not as complicated as Adobe Premiere Pro. Adobe Premier is packed with great features such as face detection, audio effects, and bundled soundtracks. It is very user-friendly. It has an automatic motion tracking, video stabilization and smart toning, which will make editing easy even for a newbie. It has video effects that are very useful in editing, these include as transitions, chroma-keying, opacity and so on. The media library is also smartly organized making it easy to find saved files and draft files. Get Adobe Premiere Elements 2018 now. You can now shoot a video using your Smartphone. You can also edit your videos using your Smartphone. KineMaster is software for Smartphone. You can download it to your phone or ay devices such as Android devices, iPhones and iPads. It is an astounding mobile application and very famous for Android users. The problem with this software is that it lacks the feature to edit multiple layers. It has an instant preview and smart effects. It is best for beginners and lightweight professional use. It is cheaper than the other software, and you can download it in your phone. 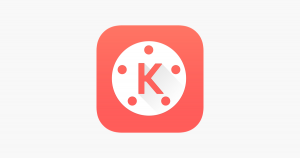 KineMaster is available for Andriod and Apple Devices here. Corel VideoStudio Ultimate X10 is the best video editing software for beginners. It has real-time effects, color correction, multi-cam editing, 4K video support, 360-degrees VR video support, a music library and loads of effects. It is designed to make video editing for novices very easy. Not really suited for experts. Great value for the price. Download Corel VideoStudio Ultimate X10 here. CyberLink PowerDirector 17 Ultra is a remarkably powerful tool. It is not a beginner friendly however. It delivers professional grade tools and features, but at a surprisingly affordable price. It has stabilization and video correction tools, professional effects, multi-cam editing, motion tracking, and easy trimming, to name but a few. It supports all kinds of file standards and formats and comes with a 360-degree video editing feature. 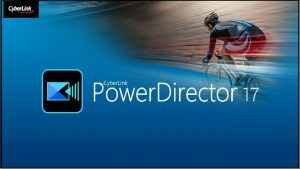 CyberLink PowerDirector 17 Ultra is available here. 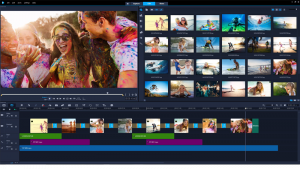 Pinnacle Studio 22 is an easy-to-use video editor, so if you’re starting out or if you never had experience in video editing, it is a great choice. It is simple to use, so it is the best choice for beginners. Great features include a multi-camera capture and editing tool, color controls, and stop motion animation. It has a 30-day trial with a money back guarantee. 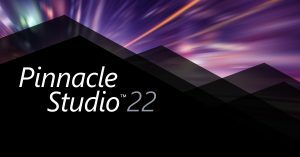 Download Pinnacle Studio 22 here. DaVinci Resolve has a professional-quality color correction, Fairlight audio tools, compatible with Fairlight consoles and multi-user collaboration. While it is not as sophisticated as some of the paid editing suites, it is still a powerful bit of software. DaVinci Resolve is available here. Lightworks is a Hollywood-grade editor that has been used to edit Hollywood movies. It can handle whatever video capture and editing you require. You can trim and mix the audio and video clips using its great timeline. You can use VSDC for presentation. You can use it to add text, lines, charts and other special effects to your film. It has Instagram-style filters, color correction and blurring, a mask tool and many other special effects. It also has a wide range of output format and video stabilizer. It is easy to use, so ideal for beginners. Hitfilm Express has a 3D effect features that can really make your movie shine. It can be used to make Youtube videos as it comes with a handy direct uploading feature. The free version of Hitfilm Express is complete with everything that you need to edit a film. Hitfilm Express is available here. 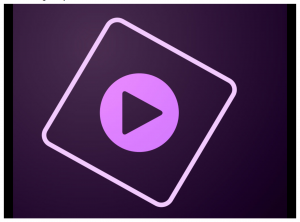 Shotcut is a simple video editor. It has lots of filters and effects that are easy to manage and apply. It supports different formats. It is a free feature in an iPhone. It supports 4k resolution. It has different effects and filters. This software is excellent for audio editing. It is designed for simple editing and so is ideal of basic editing.